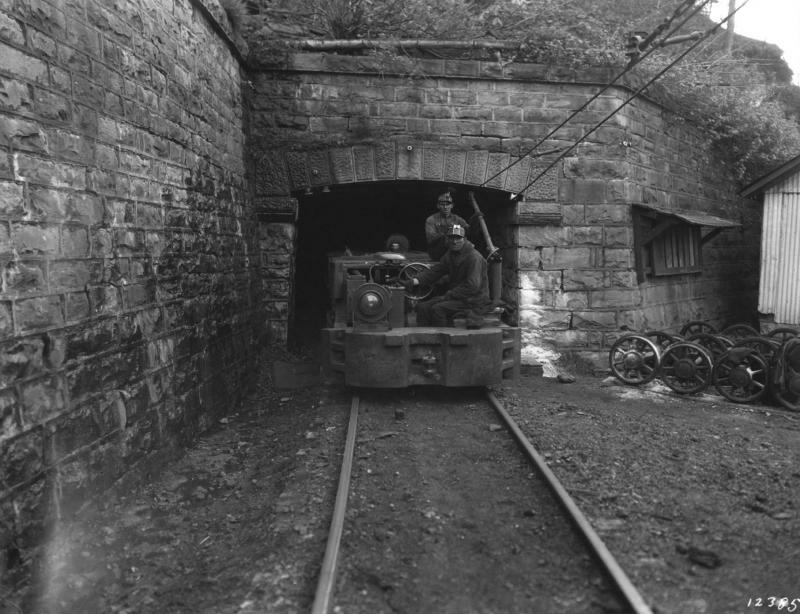 The Crozer Coal and Coke Company mine at Elkhorn, West Virginia opened in 1888, First photo is the Crozer Coal and Coke Company portal. Photo is about 1930 and is courtesy the VA TECH SPECIAL COLLECTIONS DEPARTMENT. 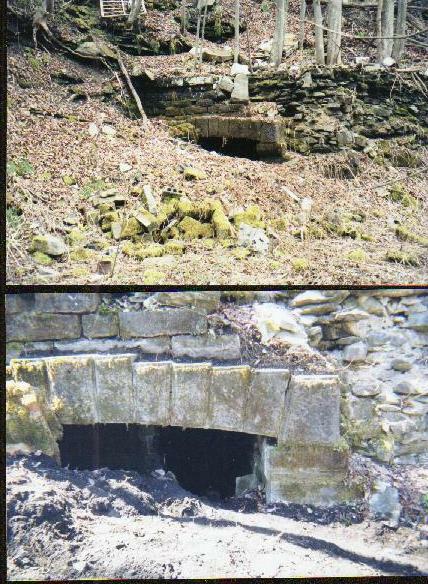 Second and third photos are the portal as it appears today, 2004. These photos were taken by Buddy French when he discovered the portal while exploring the area. Buddy and his wife, Phylenia, share a deep interest in McDowell County, West Virginia coal history and have each written articles on the subject. OVER ONE HUNDRED DAY SHIFT EMPLOYEES OF THE CROZER COAL & COKE COMPANY AT ELKHORN, WEST VIRGINIA. PHOTO IS DATED JUNE, 1940 AND IS FURNISHED BY BUDDY FRENCH. MIKE SEMONCO WRITES, "THE MINER HOLDING THE SMALL WHITE SIGN IS MY GRANDFATHER, ANDREW SEMONCO."